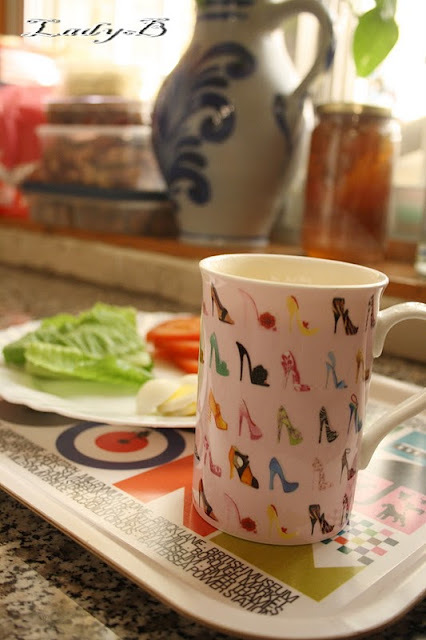 I can never leave the house in the morning without breakfast and ofcourse a cuppa coffee! For me breakfast is a must ! I apologize for the lack of posting, i've been crazy busy lately once I get things together I promise to post more often ! The mug is adooorable! Marks & Spencer?